I’m sort of disappointed with my blogging lately. I’ve been busy, really, doing stuff for our local SCBWI chapter in anticipation of this weekend’s spring conference, and revising manuscripts and working on my newest novel. But I really did want to read and review books by Oklahoma authors, and that has fallen more and more by the wayside. And the hundred journal entries project? As if. However, I seem to have lots of spare time to spend on tumblr. Research. Learning how teens interact. Riiiiiight. So. First things first, I’m going to go back and see what Oklahoma authored books I’ve read and not got around to reviewing. Then I’m going to tackle them, one by one. I think I’m forgetting some. So that’s…18 books already? And I know there’s more that I want to read. Several are by authors already listed above, but there’s others that I haven’t even gotten to yet. So…I’m thinking if I grow up and commit to doing one each week, I’ve got almost five months of blog posts on here. Of course, the ones that still have to be read are a little more work, but it’s not like it’s going to be hard work. I used to have the newspaper done each week on Wednesdays, and that seemed to work well enough. So. Every Wednesday. 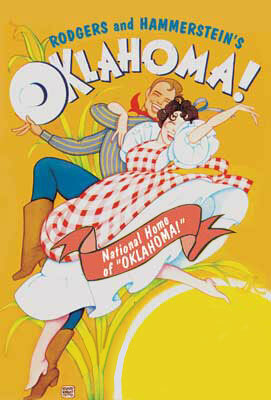 I will have a Oklahoma book review on this blog each and every Wednesday. At least until I get done with the ones I’ve already read. So now I need to figure out how to schedule blog posts. Good thing I have six days to do this. This entry was posted in Book Reviews, Oklahoma authors, On Writing, SCBWI by Regina Garvie. Bookmark the permalink.